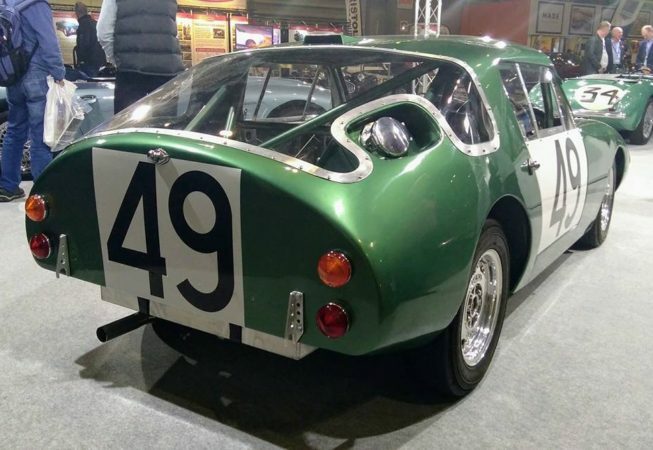 This is a faithful replica, owned by Pete Taylor, of one of two identical cars that raced in the 1965 LeMans 24 hours. 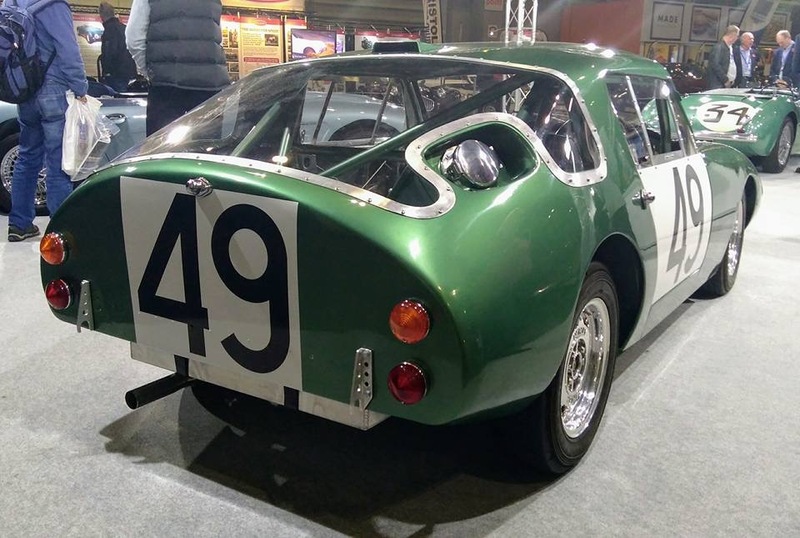 The original car numbered 49 finished a creditable 12th place overall. Drivers were Hawkins and Rhodes. The following article is taken from the Dec 2017 of Mutterings. Well it has been eight years since we made the decision to buy what appeared to be a completed aluminium shell from the Gibson brothers who had a workshop opposite the Archer‟s Garage in Oldbury. The shell had been constructed for them in Scotland. As it turned out, problem after problem was identified with the shell and after having the rear chassis legs removed and re -sited, the floors dropped by 2 inches and roll cage fitted, the car sat a long time. It was apparent that the roof was too flat, the windscreen opening would not be suitable for fitting the glass, and to top it all, the car was not symmetrical. A decision was made with heavy heart to scrap the Aluminium body and request the services of Colin Sandwell and Brian Wheeler to construct a complete new Aluminium body. From then on things started to speed up; formers were constructed and measurements taken in order to make the new body. We then took the bare chassis home to fit up all the running gear and engine, and then brought it back to Wheeler‟s workshop. Brian and Colin did a wonderful job on the body, the roof was now good and a Mini windscreen fitted perfectly. Side Perspex windows and the massive rear one were manufactured and fitted. We picked her up and took her home to cut the holes and fit (temporarily) the rear lights. The front light covers we had made in Perspex locally, trimmed to fit, and the 4 headlights temporarily fitted. Dashboard clocks and switches installed, emergency power off and windscreen accoutrements fitted. Finally an excellent paint job was done by a good friend Brian Bedford who had helped tirelessly throughout the project and the engine prepared by long-term friend and racing colleague, Pat Harris. First time out was to the Austin Healey Club stand at the NEC Birmingham on the weekend 10th – 12th November. 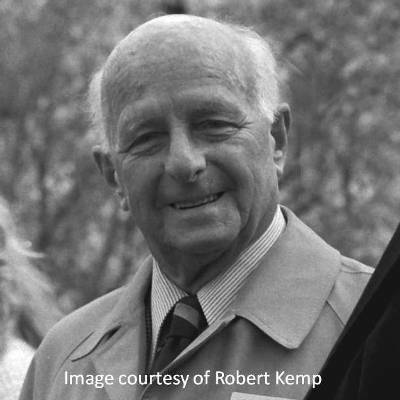 The car was very well received and was awarded the Brian Archer Shield, an award dedicated to the memory of Brian Archer who died in 2008 and who was responsible for making Sebring coupé bodies.